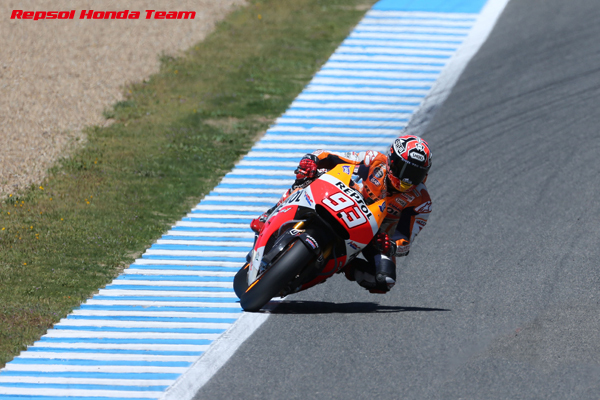 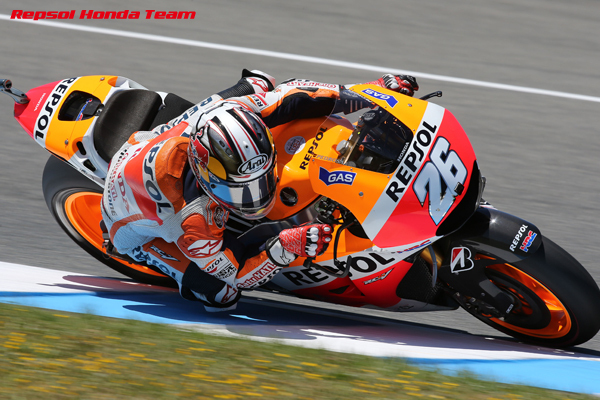 Positive start for Marquez and Pedrosa on day one in Jerez Under blisteringly hot weather conditions in Spain, both riders went out on track this morning looking for the best setup for the twisty Andalusian track. 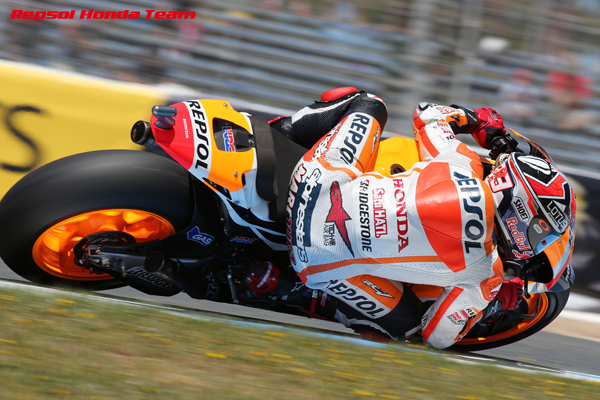 Both Marc and Dani spent the morning session on the soft rear Bridgestone tyre, as the track was still quite ‘green’ and the asphalt just 24ºC. 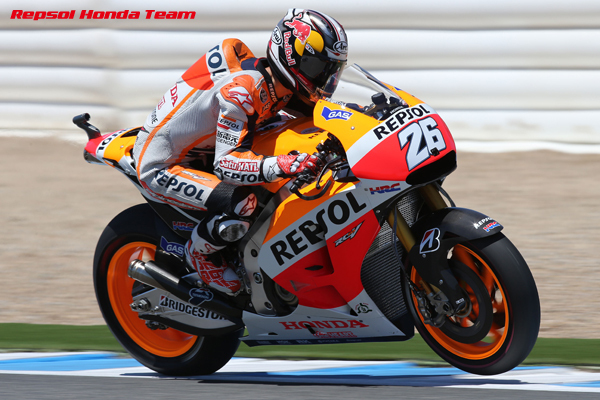 As temperatures rose in the afternoon – air by 10ºC to 31ºC, and track to 49ºC – both riders took the opportunity to use the medium compound rear tyre.